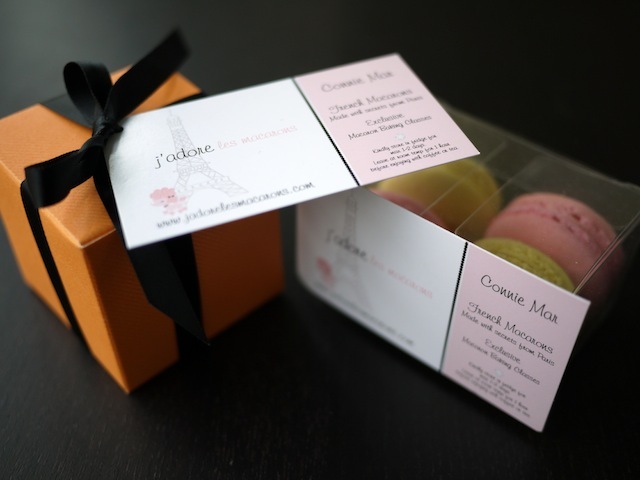 Vancouver’s J’adore les Macarons offers French macarons — made with secrets from Paris — expertly baked by creator, Connie Mar. After a ten year love affair with Pierre Hermé’s and Laduree’s macarons, she flew to Paris to specifically learn the art of baking French macarons: Madamoiselle Macaron has trained at, an impressive, two schools in Paris, France and one school in NYC. Organizers of Baker’s Market Vancouver, Connie and her husband Eugene invited us to sample her macaron masterpieces on Saturday and experience all that the market had to offer. Festive Halloween colours and spooky decorations were displayed at each booth, while J’adore les Macarons even offered Halloween-inspired macaron flavours. Connie kindly sent us home with a couple of boxes of her delectable creations. 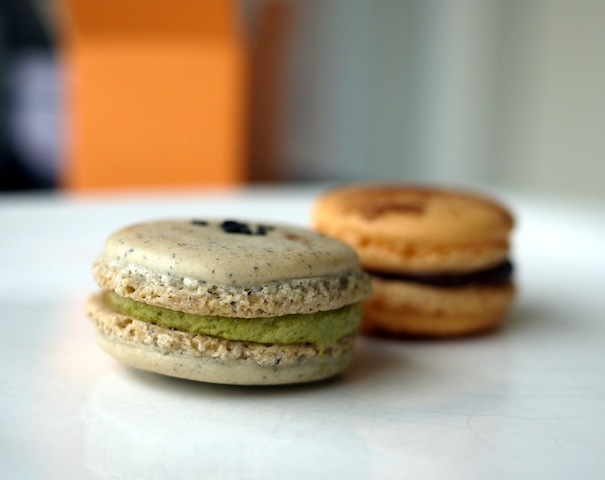 Spotted – Black sesame with matcha buttercream. Orange – Dark Valrhona chocolate (the Rolls-Royce of chocolate), with orange and cocoa. Both of Spotted’s sesame and green tea flavours were distinct but neither taste overpowered the other – so they were nicely balanced flavours. I’m a huge fan of pairing orange with chocolate so I welcomed the dark Valrhona and vivid citrus hue of Orange. 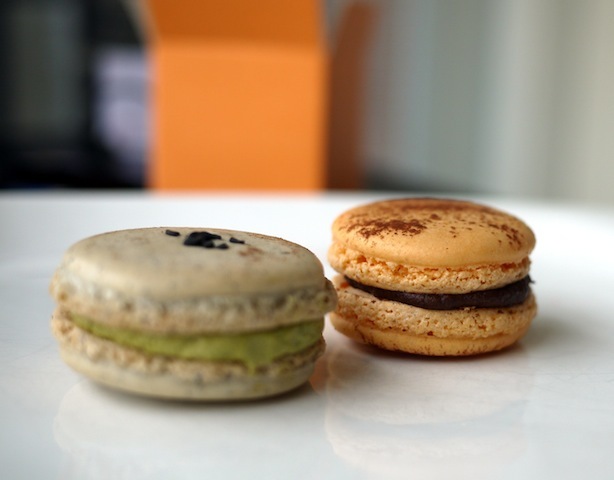 All the macarons we tried were little bite-sized delights, with soft and moist interiors, well-proportioned middle layers of buttercream, even “feet” and delicately crisp outer shells. 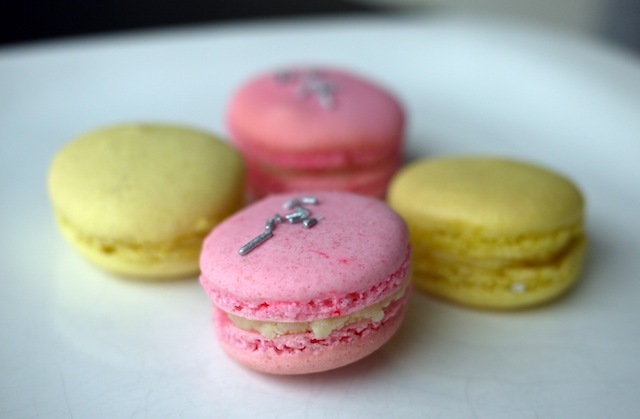 This class entitled is French Macarons 101 – how to make ’em, bake ’em and eat ’em. You will learn a fool-proof recipe and secret techniques on how to make authentic and delicious tasting French Macarons. You’ll learn how to colour and flavour the macarons to your heart’s desire! Different types of fillings will be discussed and you’ll even learn the best way to serve them. 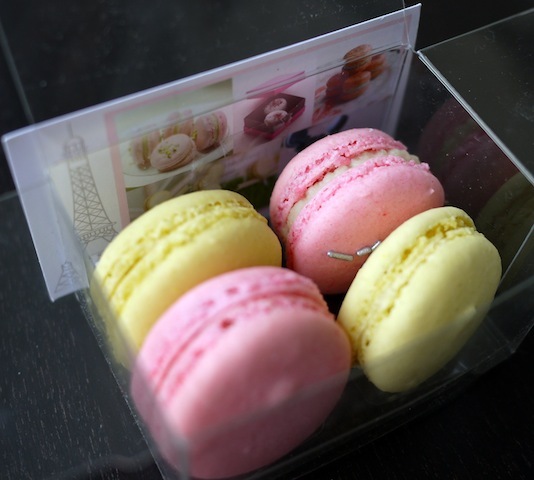 Etiquette on how to eat French Macarons will also be included. Visit Connie’s website here for further details, and how to register for classes. 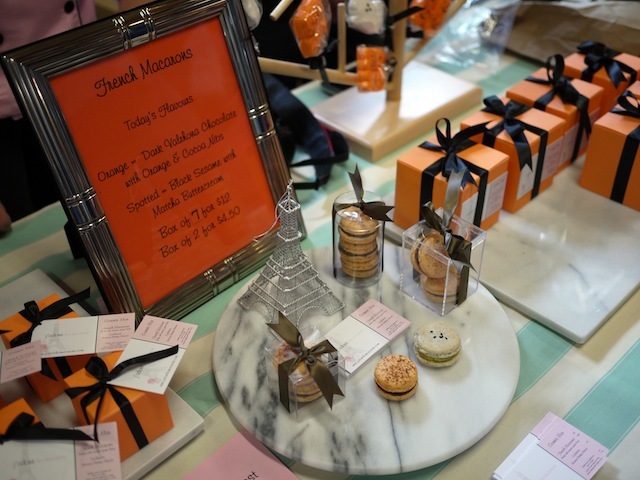 Find J’adore les Macarons every Saturday at Baker’s Market Vancouver!